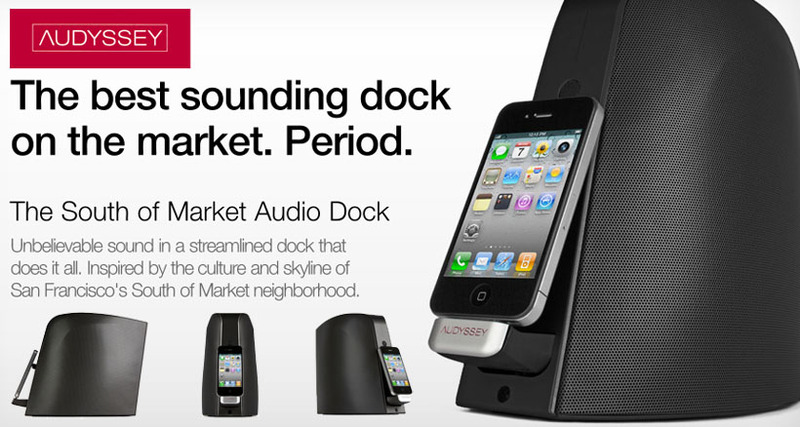 They claim to be “the best sounding dock in the market.” And I think they are right. Eugene from Sound Decisions invited me to experience this 13x23x23cm sound machine at their showroom at The Adelphi. When I arrived there, he first took us on a brief tour of the showroom. The 150-inch projection-screen home theatre set-up was awe-inspiring. But that’s not what I was there for. He then promptly led me to where the SoMa dock was placed. After sharing some technical specs, he docked his iPhone onto the port and played some music through it. Frankly, it sounded fabulous. There was no doubt on the kind of quality that this small box can deliver. The designers from Audyssey have proven again that size does not matter. The amazing part was that the SoMa dock was placed between a pair of floor speakers and it appears as if the sounds came from the big speakers! Non-iPhone devices can also be used! 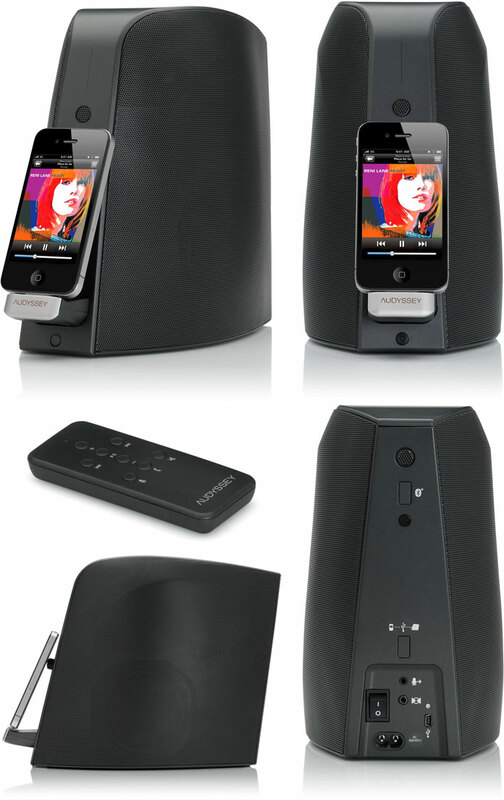 SoMa Audio Dock functions as bluetooth audio speakers, as a speakerphone, even as speakers to your existing audio devices using line-in connection. You can also customise the sound EQ using an iPhone app. You could even dock your iPad, but due to the iPad size, the frontal sound direction is slightly blocked. In essence, the SoMa dock should not be placed in an enclosed area so that the sound can fill the room. I was surprised that there are many normal-branded docks selling around the price range of S$300 – $600, with some specialised audio brands going up to $1000. Based on in-store samples, they sounded like normal home system speakers. But here is Audyssey, the brand behind all the audio technologies that go into high-end audio equipments like Marantz, Denon, Onkyo, selling for S$635. For that, the Audyssey SoMa dock is reasonably priced with that kind of exceptional audiophile quality it produces and the connectivity it offers to non-iPhone devices. Don’t take my ear for it. Go for an audio test and experience yourself. P.S. The sound is that good that my audiophile colleague is seriously considering to buy one. best audiodock under 300$, period! it blows most other more expensive ones out of the water. one little drawback is the non exisiting stereo-separation. i would love if audyssey made a double-version of this with 2 separate speakers that connect wirelessly to each other! one is already great, 2 in stereomode would kill all the competition! Pingback: Audyssey SOMA Audio Dock: A Friend’s Testimony – Music.Photo.Life.